The jury of the Borštnik Ring Award (Janez Hočevar, Mojca Jan Zoran, Vinko Möderndorfer, Metod Pevec, Alja Predan) has bestowed the Borštnik Ring 2014 to Vlado Novak. The Expert Jury of the 49th Maribor Theatre Festival (Jasen Boko, Tomasz Kubikowski, Barbara Orel, Tea Rogelj, Petra Vidali) wrote in their report: “Amelia Kraigher, the selector of the 49th Maribor Theatre Festival, chose eleven productions for the Competition Programme. Due to force majeure, we saw only ten at the festival. Apart from one co-production, no productions from independent theatres or producers were selected for the Competition Programme. 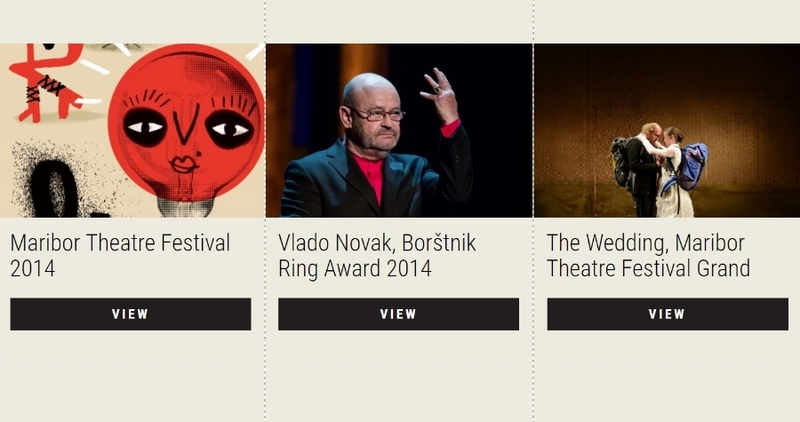 On the other hand, the programme featured almost all of the Slovenian public theatres. The jury bestowed the Grand Prix for the Best Production of the Maribor Theatre Festival to the production The Wedding by Jernej Lorenci and performed by Slovene National Theatre Drama Ljubljana. The Award of the Association of Theatre Critics and Researchers of Slovenia for the Best Production in 2013/14 went to the performance The Dead Man Comes for His Sweetheart by Svetlana Makarovič, directed by Jernej Lorenci and performed by Prešeren Theatre Kranj and Ptuj City Theatre.